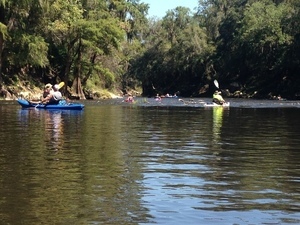 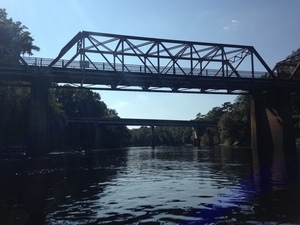 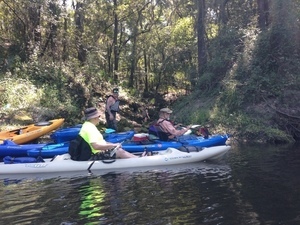 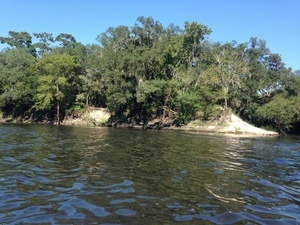 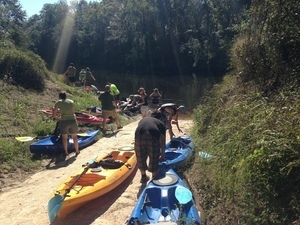 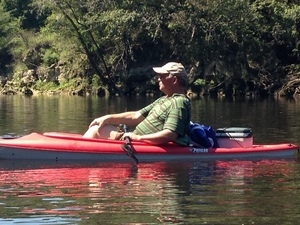 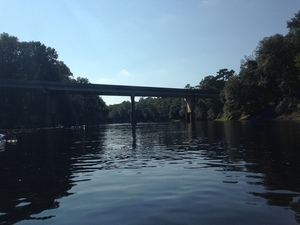 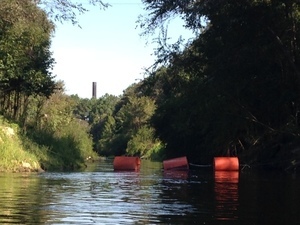 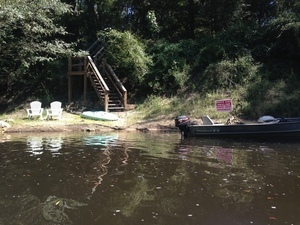 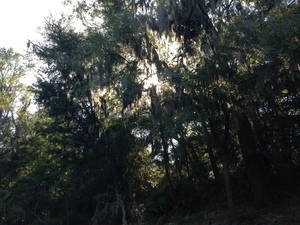 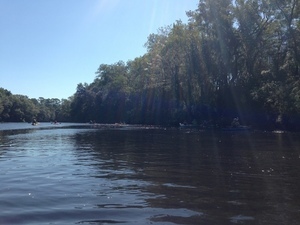 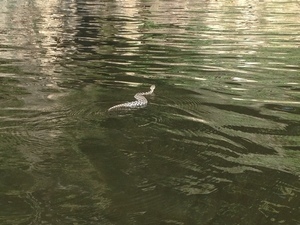 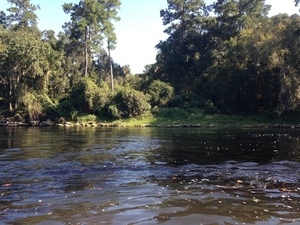 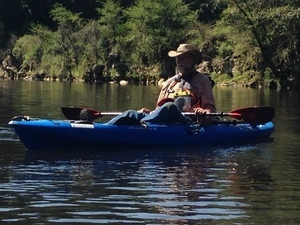 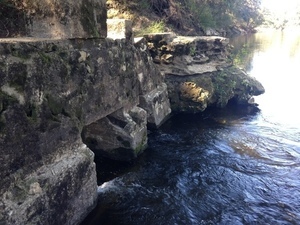 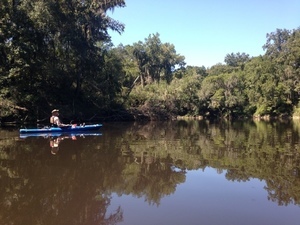 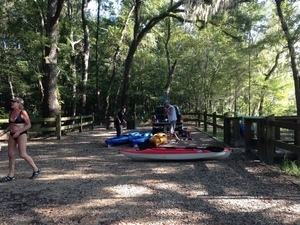 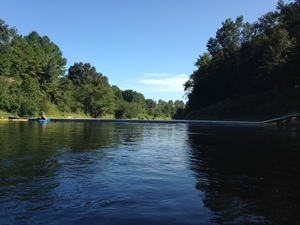 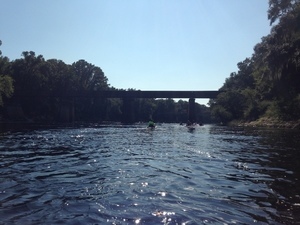 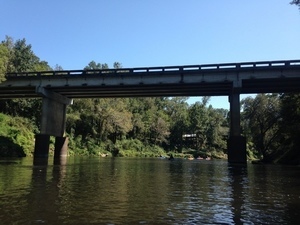 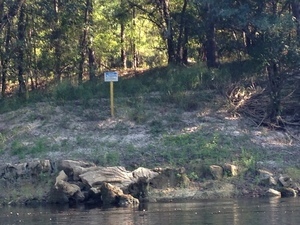 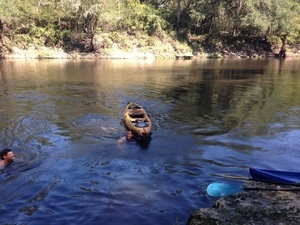 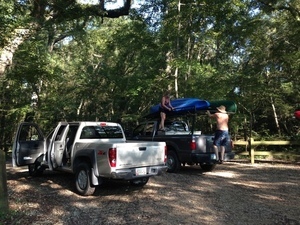 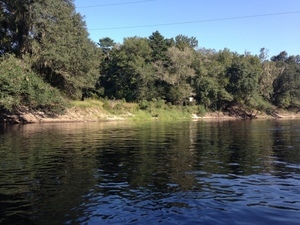 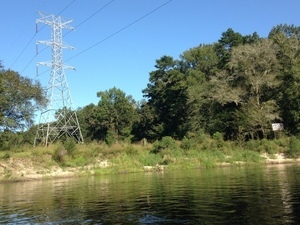 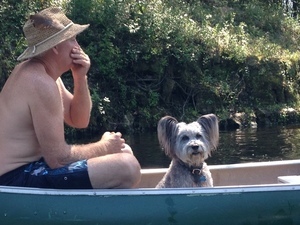 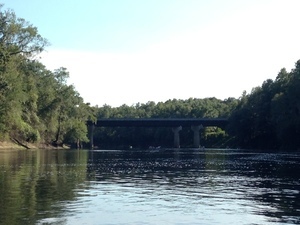 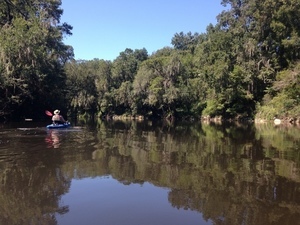 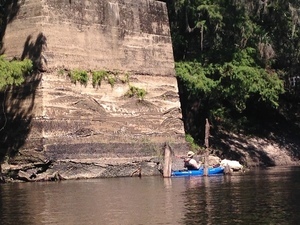 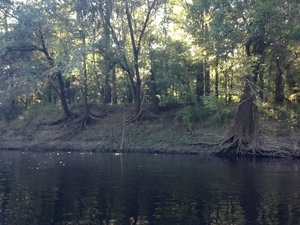 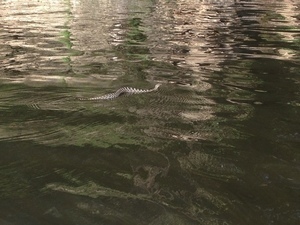 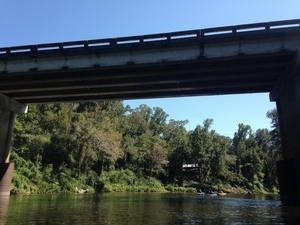 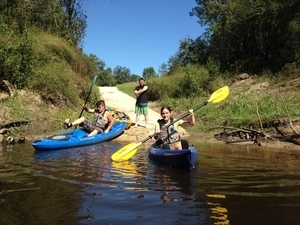 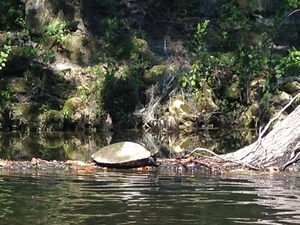 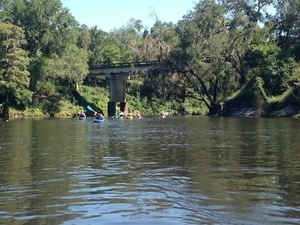 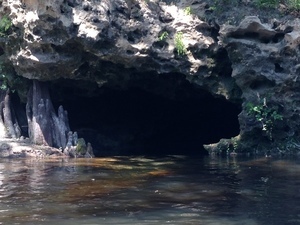 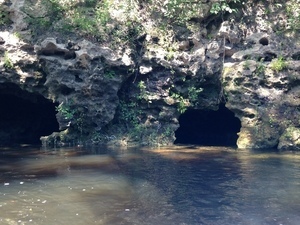 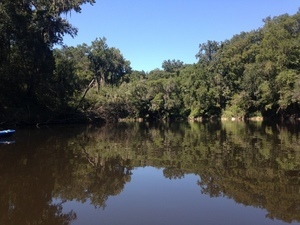 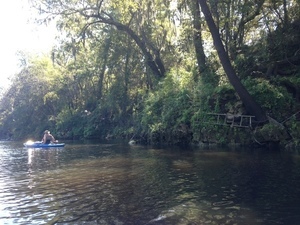 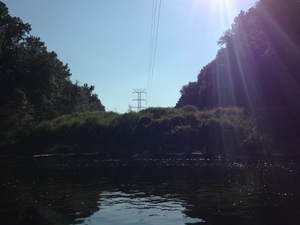 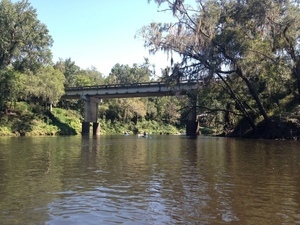 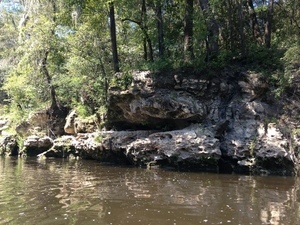 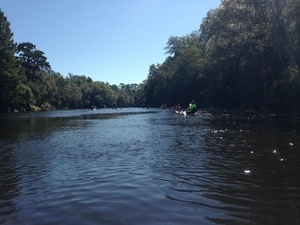 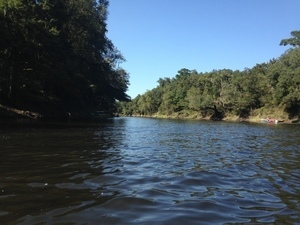 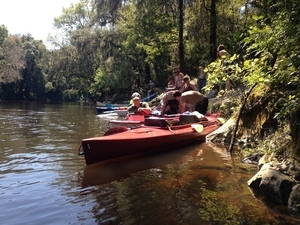 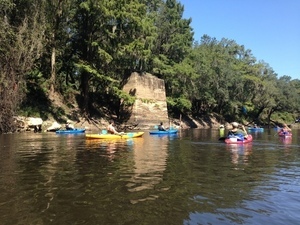 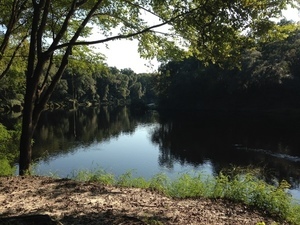 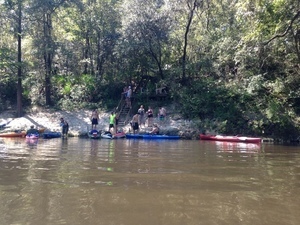 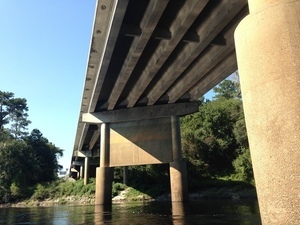 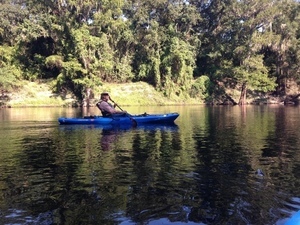 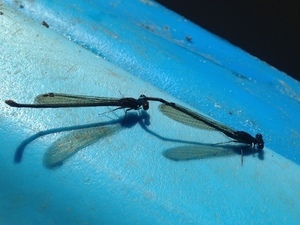 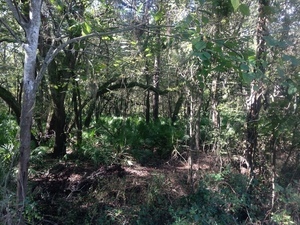 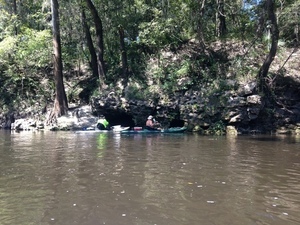 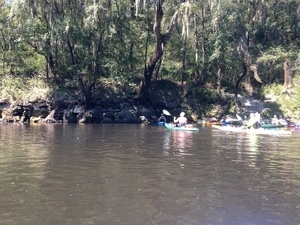 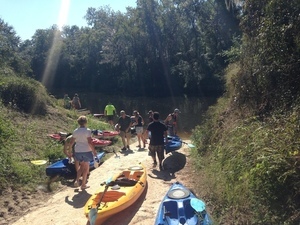 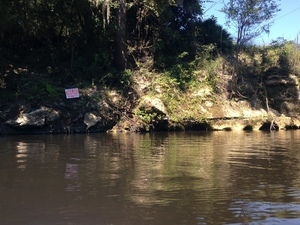 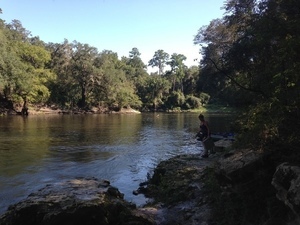 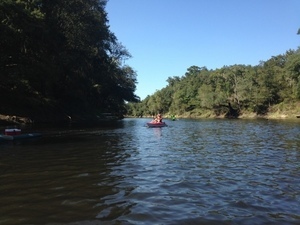 Gretchen Quarterman took these pictures on the Withlacoochee and Suwannee paddle: springs, shoals, and pipeline 21 Sept 2014. 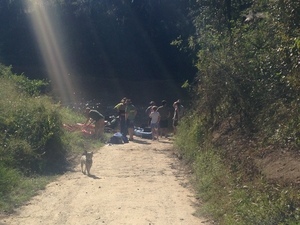 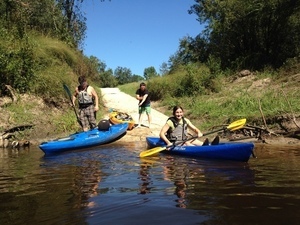 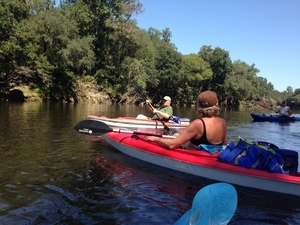 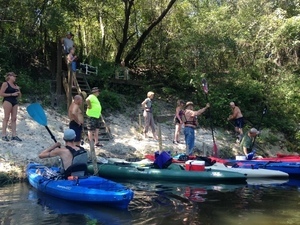 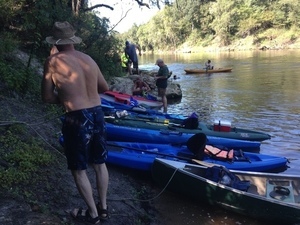 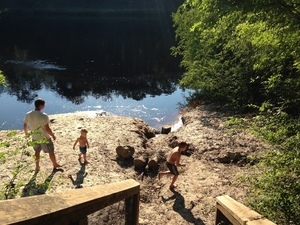 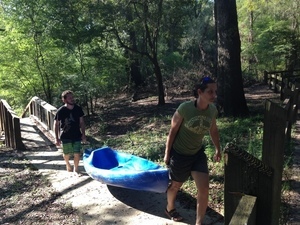 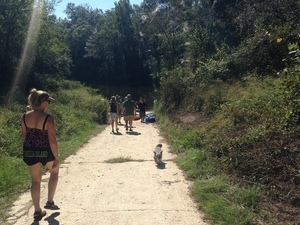 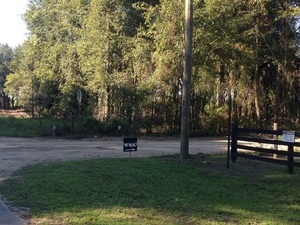 This was a long outing Chris Mericle organized down two rivers with many people, past springs, shoald, and sinkholes, and past the crossings formerly proposed by Spectra Energy for its Sabal “Sinkhole” Trail fracked methane pipeline before it moved upstream on the Suwannee, as seen 2015-08-15 and 2015-11-15. 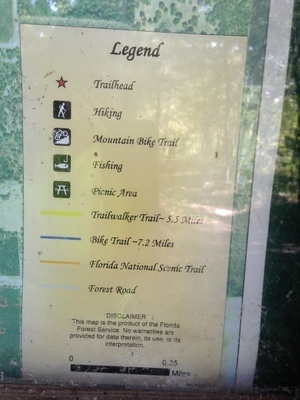 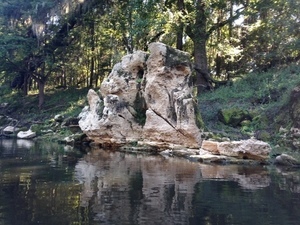 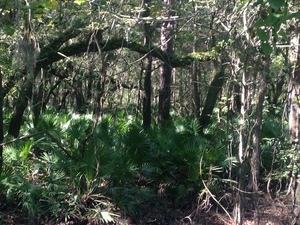 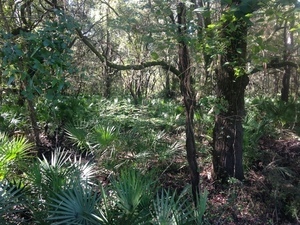 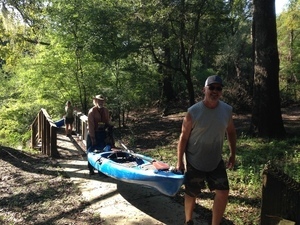 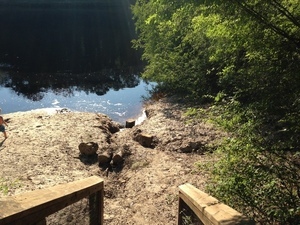 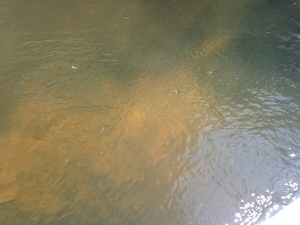 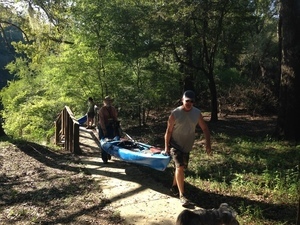 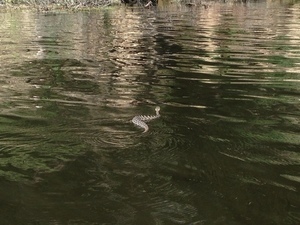 It was also before we started the Withlacoochee and Little River Water Trail. 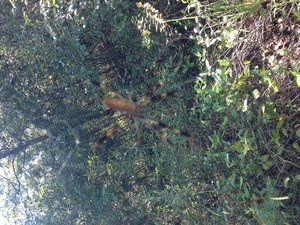 Click on any small picture below to see a larger one. 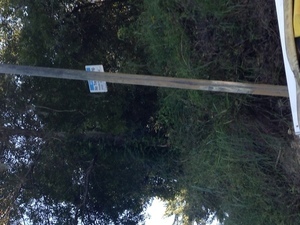 This way to the WWALS outing. 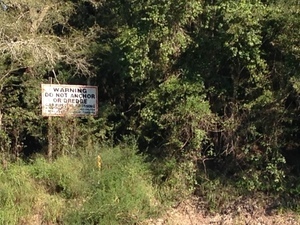 Thank you for the sign! 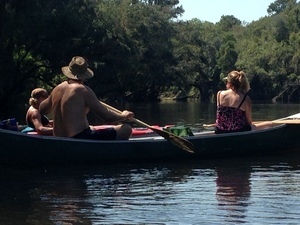 Chris and Deanna. 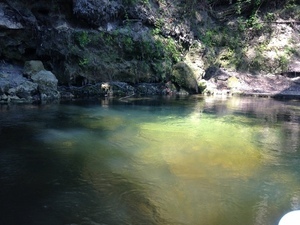 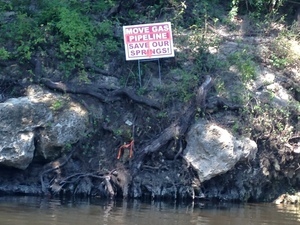 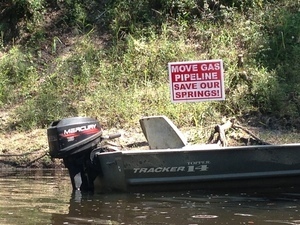 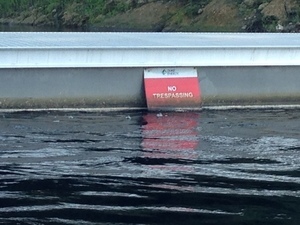 Move Gas Pipeline; Save Our Springs! 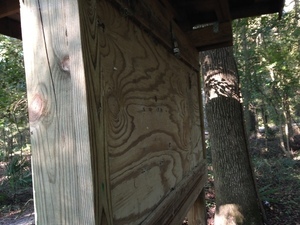 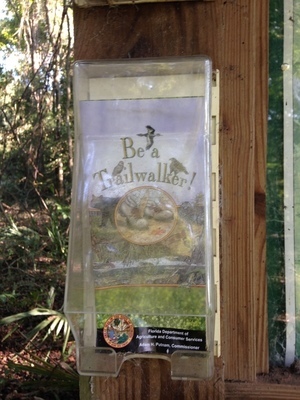 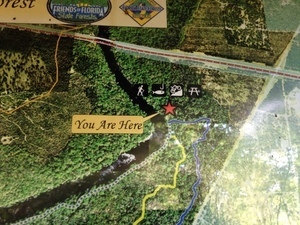 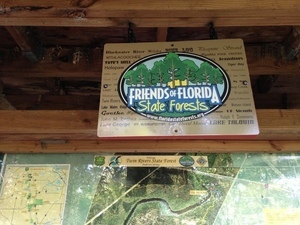 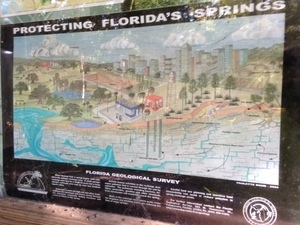 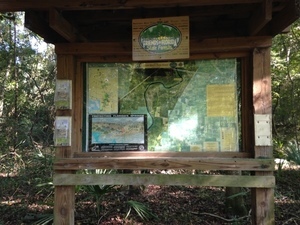 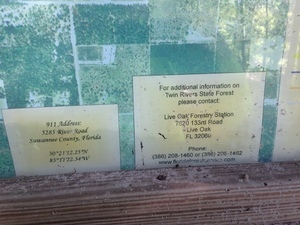 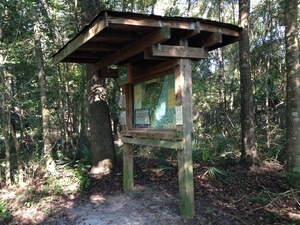 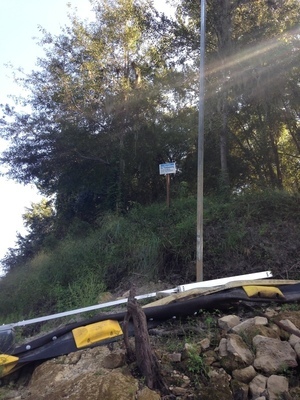 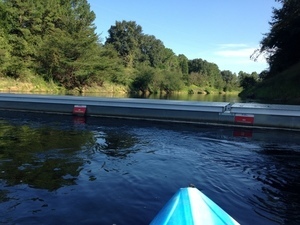 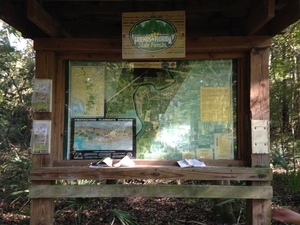 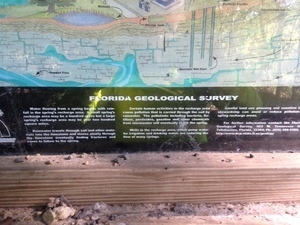 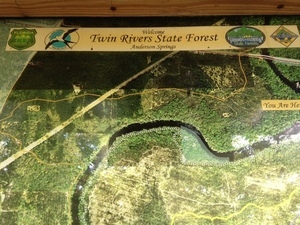 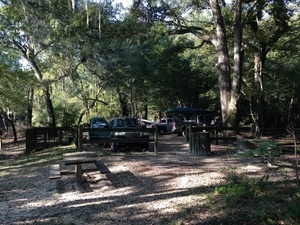 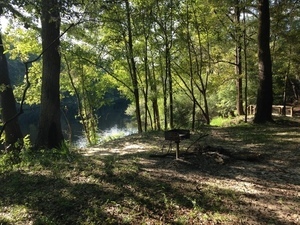 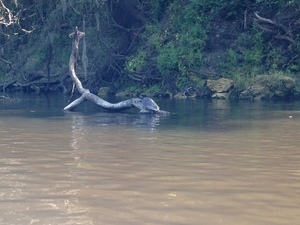 This entry was posted in Blueway, Pipeline, River and tagged Blueway, Chris Mericle, conservation, Deanna Mericle, Gretchen Quarterman, north Florida, pipeline, river, Sabal Trail Transmission, south Georgia, Spectra Energy, Suwannee River, watershed, Withlacoochee and Little River Water Trail, Withlacoochee River, WLRWT, WWALS, WWALS Watershed Coalition on January 30, 2016 by jsq.